UBX has always been committed to customer care and service provideing a tailor made service as per the needs and providing the highest level of service and reliability at all times. The UBX tracking will provide an updated information on your shipment location from one transit point to another and also update the expected date of delivery. UBX can provide a proactive confirmation upon delivery of shipment by fax, email, phone or SMS, whichever is more convenient for you. We recommend you to get an account/contract signed with UBX if you ship frequently. This gives a benefit of the best prices and a convenience to pay by monthly invoice. Less frequent shippers can pay by cash or cheque at the time of booking a shipment. How do I get compensated for a loss/damaged shipment that is undelivered, or was damaged? If your shipment is undelivered within a specified time limit, please contact our customer service with the exact details. We will try our best to locate the shipments at all transit points and if we are unable to locate the shipment, our customer care executive will inform you of the same in order to file a report/claim for the lost shipment. Please note that damage to goods in transit is frequently the result of inadequate packaging and cannot be compensated. 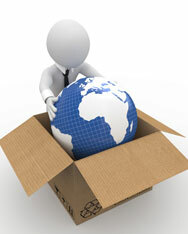 So we advise you to provide a good packaging to your valuable shipments. What is the maximum weight and size of package that I can send? The maximum weight for any single piece shall not exceed 30 kgs. 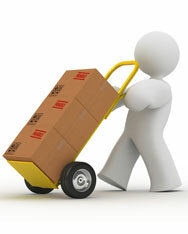 However the total weight of any shipment can be even 100 kgs or more. Also, a prior information about heavy shipments above 50 kgs is advisable so that we can handle your shipments with utmost care and safety. 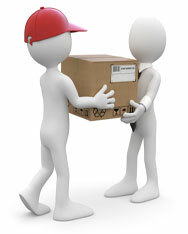 Take care that none of the dimensions of any piece from the shipment should exceed 120 cm in dimension. Will I have to pay any custom duties at the time of shipping my goods? Any customs duties levied at any point of transit, will have to be borne by the consignee. In case consignee refuses to pay, shipper automatically becomes liable to pay for that. Can I also use the services of UBX to import some products from overseas ? Will there be any import duty on the items that I order for import? UBX does provide you an import facility from any where in the world. 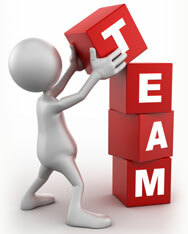 However, the duty implication depends on the type of commodity and the value of the goods. If customs imposes a charge UBX will pay this is first instance, however it is to be paid by you at the time of delivery of goods. Can we get a shipment delivered to the exhibition ground on a particular date and time? UBX specializes in delivering shipments to exhibition ground specially in Europe,Hongkong, China and U.S.A. You just need to let us know the date and time and we shall deliver accordingly. If your shipment is undelivered within a specified time limit,please contact our customer service with the exact details . We will try our best to locate the shipments at all transit points and if we are unable to locate the shipment , our customer care executive will inform you of the same in order to file a report / claim for the lost shipment. 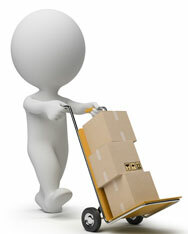 Please note that damage to goods in transit is frequently the result of inadequate packaging and cannot be compensated. 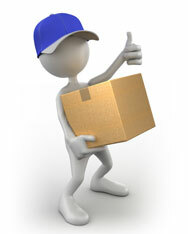 So we advise you to provide a good packaging to your valuable shipments.